From towering skyscrapers to expansive temple grounds, vibrant nightlife to interesting culture, Asia is one continent that makes a good choice for a holiday. To make your vacation more special, spend it in the most luxurious way possible, and it will certainly be remembered forever. Also known as Myanmar, Burma just recently opened to tourists, which makes it an exciting destination. It has a rustic charm and is not overdeveloped unlike its neighbouring countries. Nonetheless, you can still have luxurious experiences, such as a lavish river cruise. Sanctuary Ananda is one of the most popular cruises. It is an all-suite ship that will take you along the majestic rivers of Myanmar, spanning from Mandalay to Bagan. Many may not know, but India can indeed be paradise for beach lovers, specifically the beautiful Goa. For the best experience, do not just stay anywhere. Choose luxury hotels that will offer the perfect accommodation to make your trip complete. From en suite bathrooms to exciting culinary feasts, they surely have a lot to offer. Some of the best hotels that you should check out include The Zuri White Sands Goa Resort & Casino, Royal Orchid Beach Resort & Spa, Kenilworth Resort & Spa, Dona Sylvia Beach Resort, and Turtle Hill. Many people who visit Bali may think of world-class beaches and surfing, but there is one gem that you should know – Ubud. The place is known for its excellent art scene and natural landscape, especially hotels that are surrounded with rice fields. Some of the most popular options include The Samaya Bali Ubud, Viceroy Bali, Amori Villas, and Komaneka at Monkey Forest. Many of these hotels are surrounded as well by lush forest, offering the perfect choice for a relaxing stay. This sail-shape luxury hotel stands tall along Jumeirah Beach. The 7-star hotel offers the most luxurious experience that you can ever have in Dubai. The interiors are glittering in gold. The rooms are fit for a king, as well as the hotel’s amenities. There are 17 types of pillows for guests, a gold-plated iPad in every room, and a fancy revolving bed in the Royal Suite. The hotel is home to 202 suites, each occupying two floors. During your stay, expect a culinary delight as well as it has a variety of in-house restaurants run by renowned chefs. The Terrace, which has cabana space, pool, and beach is another highlight of this luxury hotel. 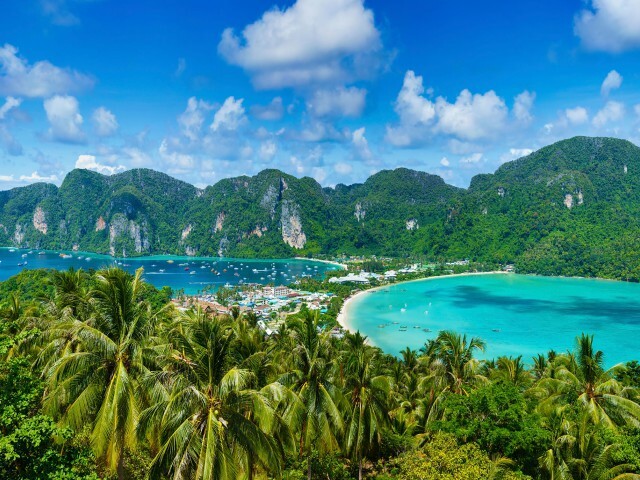 Thailand is known for its beautiful beaches, but one that you should not miss is Phuket. During your stay, choose luxury villas as your accommodation and you will surely have a relaxing break. The area of Surin is one of the most popular because of its collection of high-end hotels and exclusive beach clubs. Some of the most popular choices include The NAKA Phuket, SALA Phuket Resort & Spa, Anantara Mai Khao Phuket Villas, The Shore at Kathani, and Bandara Villas Phuket.